Fear of the dentist is a very real thing. Studies show that most people have experienced some sort of dental anxiety in their lives; for some, the fear is even debilitating. Many people put off coming to the dentist because of this fear, causing their oral health to suffer. 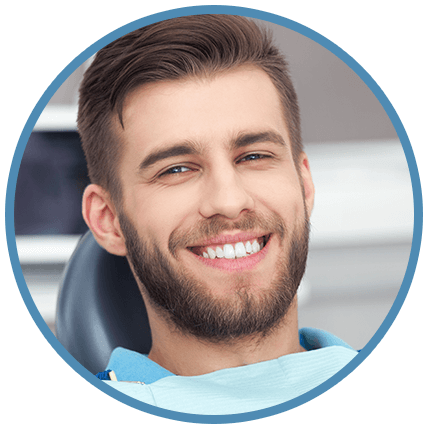 Sedation dentistry puts visiting the dentist in a completely different light for those with dental phobias. Let us know if you have a fear of the dental chair and we can use IV sedation to calm your nerves. Dr. Miranda and her team will treat you with gentleness the whole time you are here, and you will feel at ease throughout your treatment thanks to the IV sedation. IV sedation will allow you to conquer your fear of the dentist! Intravenous sedation, or IV sedation, is when we administer anti-anxiety medication into the bloodstream during your treatment. This allows Dr. Miranda and our San Antonio dental team to continually check the flow of the drug while making sure you are comfortable and relaxed. We use this type of sedation dentistry for longer treatments like wisdom teeth extractions. It is also ideal for those who suffer from extreme dental anxiety. IV sedation is also widely known as “sleep dentistry” or “twilight sedation” because of the way it makes the patient feel. Those common terms are a little deceptive though because IV sedation doesn’t make you fall asleep. Even though you aren’t actually sleeping, most patients are so relaxed that they are completely unaware and don’t remember anything about their procedure, giving the illusion of being asleep. When we administer the IV sedation, you will feel pleasantly lightheaded for a few seconds, and then we’ll slowly reverse the sedation once the procedure is over. You’ll come to and be ready to go home! But make sure someone is with you to drive you home afterwards. IV sedation is an extremely safe form of administering sedation; it’s safer than oral sedation, in fact. The goal is to use as little medication as possible to achieve comfort throughout the treatment. We watch the constant drip through the intravenous tube at all times during the procedure, and, if necessary, we can administer an antidote quickly to reverse the effects of the medication.